I write because I love to write; my pen runs smoothly on paper. Writing is the living record of my thoughts and emotions, a solace to me in moments of despair. Last night, for instance, in a moment of intense melancholia, I found myself thinking back to my trips to Italy visiting with my cousins, The La Camera Family, The Sposito Family, and The Cacciola Family. Rather than brood about what was and is no more, I started to write about my trip and how wonderful it made me feel. It seemed a natural way to express love for my family and for Italy, the country of their birth. Instead of sitting down at the computer, I took out a legal sized pad, the familiar yellow type, and poured out colors, sweet smells, starry skies and peace just as I remembered it. I was back in Sicily, stretched out in the sun, aware of only the beauty around me. There was beauty in the mountains, the clear blue skies, and the green Mediterranean Sea, where the fish played hide and seek with each other, much to my delight. I strolled quietly along the sand feeling like an Italian Countess, as pebbles clung to the bottom of my bare, sun kissed feet. I walked through terrains of sweet smelling flowers, so colorful, so vivid they took my breath away. Writing is the language of my thoughts and emotions. I write of my heroes and a thousand other matters connected with my life. I am not Virginia Woolf, George Orwell nor Jonathon Swift, but I am me and I write because it feels good. My books are not like Boccaccio's Decameron, nor Chaucer's Canterbury Tales, but like the works of the great masters, they are written down to assure my immortality. 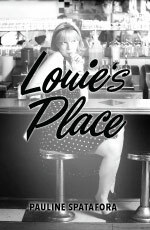 This latest Novella, Louie's Place, is a work of fiction and focuses on the lives of five young Italian American women living in Greenwich Village during the '50's. It follows their lives up until the turn of the century. 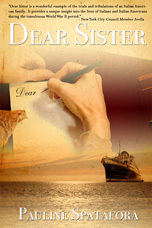 It is dedicated to the author's childhood friend who died before the book was completed. Cara Sorella e' davero un tesoro d ' informazione! Questa raccolta di lettere svolge la storia di Anna La Camera, un' 'immigrante italiana che venne in questa nazione costretta da circostanze avverse. Leggendo le sue lettere scritte durante un decennio, ci rendiamo conto delle difficolta' e le tribolazioni ai quali gli immigranti italiani si sono dovuti sottoporre parrechio tempo dopo l'ondata di immigrazione. Piu ' significativo, facciamo parte, cio ' che raramente succedde, alle sfide quotidiane dell'immigrante italiana. 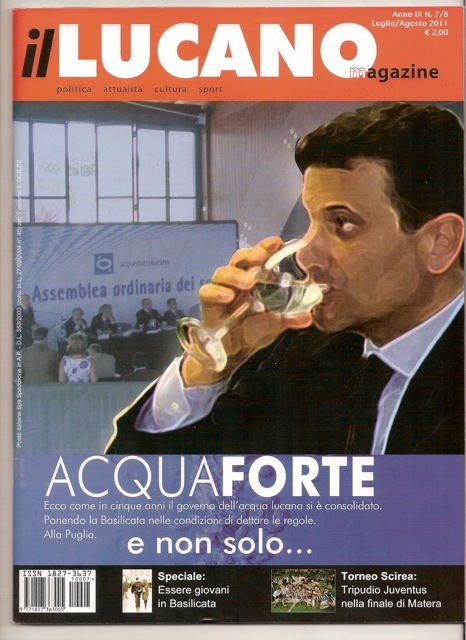 Questo, certamente, e ' il vero retaggio di queste lettere. Offrono, per la prima volta, una rappresentazione del dilemma della donna italiana negli Stati Uiti. A unique insight into the lives of Italians and Italian Americans during the tumultuous World War II Period and based on actual letters written by the author's mother to her aunt in Sicily. This is a book that will touch everyone regardless of country of origin. This is a voyage that is not only literal but symbolic for Anna, the young woman away from family and friends - embarking on a journey filled with surprising twists. Not to be Missed. This book was written at the suggestion of Professor Spatafora's students and is for beginners, intermediate and advanced students. It is easy to read and follow with a CD-R disc provided for listening and following. 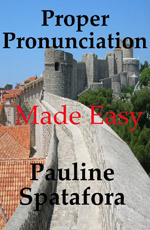 It also includes a chapter with prepositions that is an important area of learning for ESL students. This is an in depth study from a critical and personal perspective. Much has been written about Virginia Woolf yet there can never be enough said. 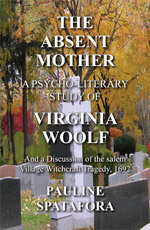 An excellent book for the undergraduate and graduate student of the literary content and symbolism of Virginia Woolf's main novels. To the Lighthouse, Mrs. Dalloway, The Voyage Out and Reminiscences. [Past] Pauline Spatafora reads from "Dear Sister"
On Saturday, March 12, 2011, the Italian American Writers Association (IAWA) invites the prolific and daring Susan Scutti whose work has appeared in dozens of in-print and online zines and whose poetry collection is forthcoming and Pauline Spatafora whose book is based on an epistolary relationship between her mother and her aunt in Sicily during World War II. Pauline Spatafora Reads from "Dear Sister: Letters Home to Sicily from Wartime America"
A special event at the Italian American Museum in New York City to meet Pauline M. Spatafora, the author of Dear Sister: Letters Home to Sicily from Wartime America. 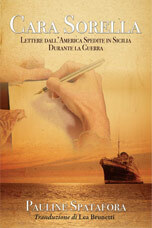 A unique insight into the lives of Italians and Italian Americans during the tumultuous World War II Period and based on actual letters written by the author’s mother to her aunt in Sicily. This is a book that will touch everyone regardless of country of origin. This is a voyage that is not only literal but symbolic for Anna, the young woman away from family and friends – embarking on a journey filled with surprising twists. 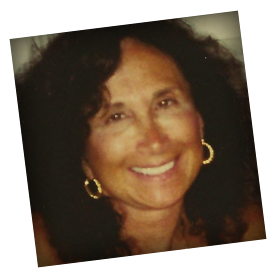 Professor Pauline M. Spatafora was a longtime faculty member of the CUNY English Department with extensive experience in Writing, English and American Literature, Public Speaking and Theatre. 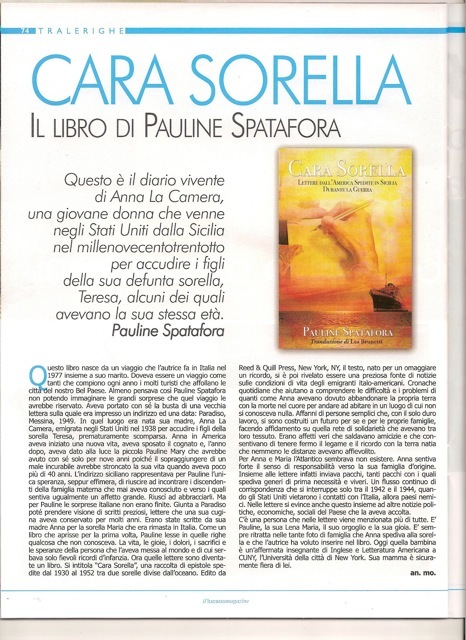 For the past seven years Professor Spatafora has devoted her time and energy to the craft of writing and has completed four books: A Psycho literary Study of Virginia Woolf, Pronumciation Made Easy, and Dear Sister: Letters Home to Sicily from Wartime America which was also written in Italian. Her latest book, Louie's Place is a work of fiction and focuses on the lives of five young Italian American women living in Greenwich Village during the '50's. Ms. Spatafora is currently living in New York with her husband Natale.